Rejuvenate your smile for all walks of life for all occasions. At Seven Meadows Dental we are dedicated to providing you exceptional quality dentistry for the entire family. If you are looking for family dentists in the beautiful Katy area, please call us today. Our priority is to assure you the utmost comfort in a warm, friendly and caring environment. We offer the newest advances in dental technology including low radiation digital x-rays, state of the art equipment, and a fully integrated water purification system. Come have treatment done in the most comfortable of dental chairs by a gentle dentist while watching television. You can even bring your own movie if you wish! For optimum comfort choose to be IV sedated and wake up with your dental work complete! 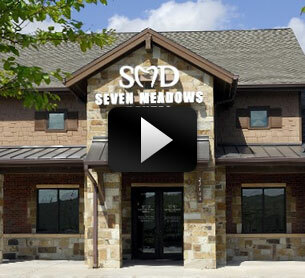 We invite you to come and experience the Seven Meadows difference. Please browse through our website and check out; Meet the Doctors, Our Services, Picture Galleries, and FAQ's. For you convenience, we also have Schedule an Appointment and New Patient Forms. Don't forget to check back often to see our Monthly Specials. Seven Meadows Dental has been recognized as one of the top Katy Dentistry practices. Seven Meadows Dental ©	2019 All Rights Reserved.